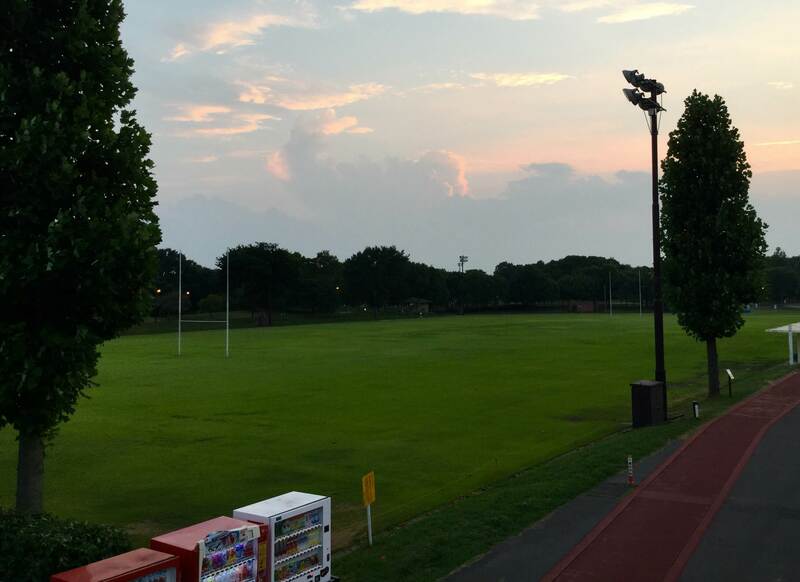 A dedicated rugby venue in Saitama Prefecture on the northern edge of the Tokyo conurbation, Kumagaya Rugby Stadium has a capacity of 24000 (following upgrades made for the World Cup) and is hosting 3 pool stage matches featuring mostly lower-ranked teams. 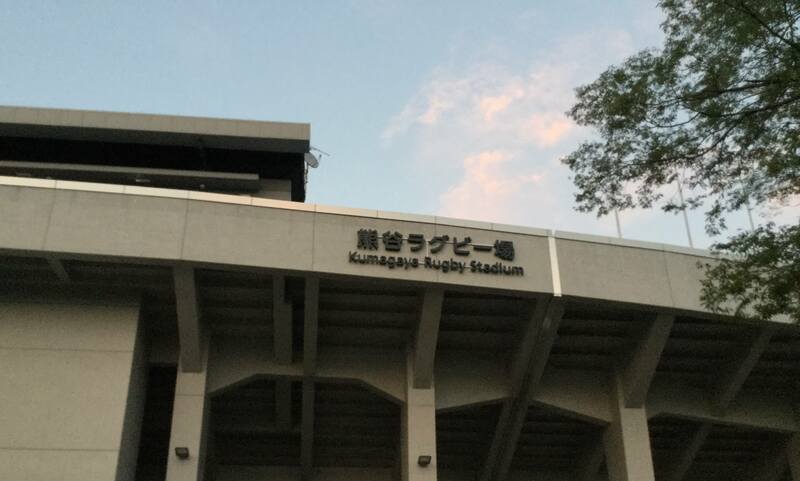 It’s a nice little stadium in an expansive park and recreation area, though it’s a little far from Kumagaya Station. 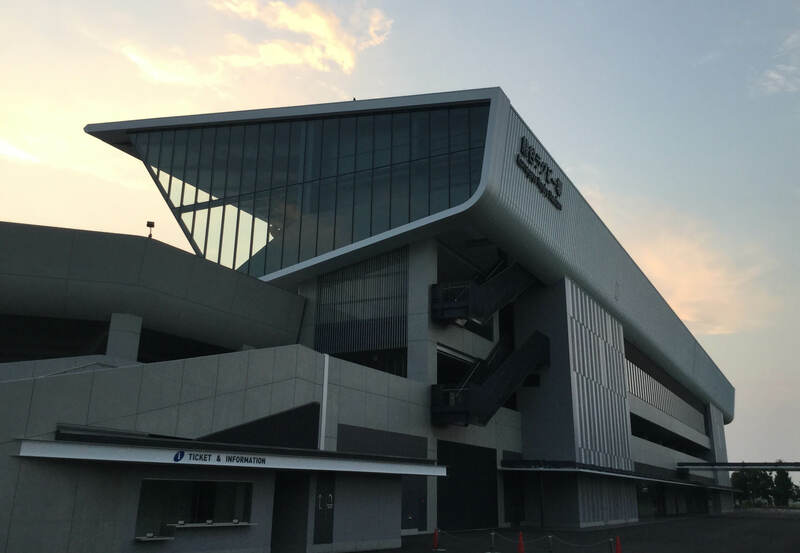 Public buses go from in front of Kumagaya Station (bus stop 3 outside the north exit) to Kumagaya Sports Park, taking 10 minutes for a fare of 210 yen; presumably there’ll be shuttle buses for ticket holders on match days, but that’s yet to be announced. If you fancy walking it you’re looking at a 50-minute walk through the quiet streets of semi-rural suburban Japan; the route isn’t obvious though, so only do this if you have mobile internet access! Kumagaya Station is on the shinkansen line, taking 40 minutes from Tokyo Station. Not every train stops at Kumagaya so make sure to check on Hyperdia (see here for an explanation on how to use it) or ask the staff. You can also board the shinkansen at Ueno if you’re staying somewhere in the Asakusa/Ueno area. If you’re staying on the west side of Tokyo e.g. Ikebukuro, Shinjuku, Shibuya, it actually works out faster to avoid Tokyo Station and take the JR Shonan-Shinjuku Line straight to Kumagaya, or the Saikyo Line rapid service to Omiya from where you can hop on the shinkansen one stop to Kumagaya. If you’re not using the JR Pass and want to stick to non-bullet trains, the Shonan-Shinjuku Line (from Shinjuku etc) or the Takasaki Line (from Tokyo Station) are the easiest as you don’t have to transfer. Again, use Hyperdia to check the best route from your starting point. Any questions about watching the rugby in Kumagaya? Give me a shout below and I’ll get back to you.